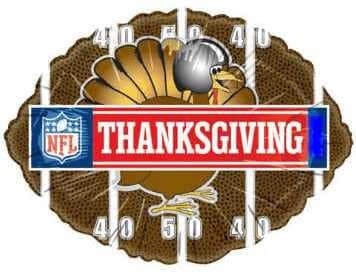 Thanksgiving Day is almost here, and with it comes a day of family, friends and football. There are 3 NFL games scheduled, and they all seemed pretty clear cut as far as odds go at the beginning of the season. However, injuries have deflated several teams, causing a shift in the betting landscape. Interested bettors can find legal betting online options for the Thanksgiving games, but you should be aware of the current standings prior to making any bets. The first game of the day is the Minnesota Vikings at the Detroit Lions, a true NFC North rivalry. The Lions are continuing their tradition of hosting a Thanksgiving game and will look to continue their 3-game winning streak against Minnesota stemming from last season. Despite the Lions winning previous fixtures, the Vikings have looked to be the better team. Most NFL analysts had the Vikings as winning on Turkey Day, especially given rookie RB Dalvin Cook’s explosive start and the explosive WR Stefon Diggs. Their QB situation took a hit when young starter Teddy Bridgewater went down with an ACL injury in last year’s preseason. Thankfully veteran QB Sam Bradford was there to take the reins. Now, the current Vikings team, while still atop the NFC North, is looking a little different. Bradford went down earlier this season with a potentially serious knee injury. Case Keenum, who was signed at the start of the season to serve as Bradford’s backup, filled in nicely. Bridgewater, the originally planned starter for the revamped Vikings, dressed out for the first time in over 14 months in last week’s game. The Vikings are now faced with the question of whether to start Keenum, who has been playing well, or try and integrate Bridgewater into the mix. The former option is more likely over the latter. Their offensive woes continue with RB Dalvin Cook suffering a season-ending ACL injury. Cook was enjoying a strong start to his NFL career. Now, Latavius Murray and Jerick McKinnon are shouldering the run burden. With all these injuries, the Vikings seem to be losing their favorability. The Lions are 2 games behind in the divisional standings, so they will be pushing to reclaim the NFC North. With an overall healthy team, the Lions have a good shot of continuing their streak. However, if Keenum stays hot, it could spell trouble in Detroit. These injuries certainly affect NFL Thanksgiving Day betting. The second Thanksgiving matchup features the LA Chargers at the Dallas Cowboys. The Chargers are currently in 3rd place in the AFC West and will not be able to catch the Raiders or Chiefs. If you ask anybody, they’ll tell you this is the Cowboys game to win. But, Dallas took a huge hit in losing RB Ezekiel Elliot to a 6-game suspension. The suspension arises from a former domestic abuse case, and while no charges were ever filed, the NFL’s internal investigation yielded enough results to apparently justify a 6-game ban. Elliot has been fighting the suspension, and playing, throughout the season, but he finally decided to cave and serve his bit. The Cowboys still have QB Dak Prescott, WR Dez Bryant and backup RBs Alfred Morris and Darren McFadden, but Elliot’s absence will affect their run game. The Cowboys are lucky their game is against the Chargers, but LA could capitalize on their drama. The final game is the New York Giants at the Washington Redskins. Both of these are playing terribly. The key storyline is NY’s loss of WR Odell Beckham Jr. Other than that, this game will likely prove boring. Still, you can place bets on this game, or any other Thanksgiving game, using licensed offshore sportsbooks.